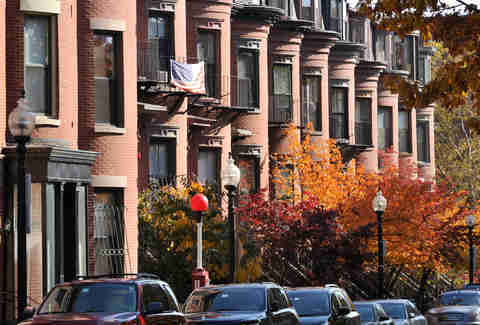 What Boston Neighborhood Should You Live In? So you took the plunge and moved to Boston. Big decision. Huge. 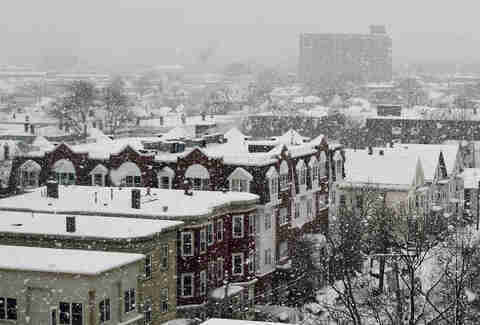 But now comes the more important ruling: settling on which neighborhood to live in. Is it about location or price? Can you swing roommates, or does your sanity depend upon the solitude of a studio or one-bedroom? Is access to public transportation more important than late-night bars? We’ve broken it down in 18 different ‘hoods to make your apartment hunt decidedly less migraine-inducing. 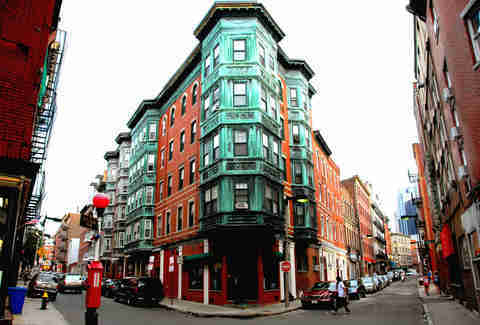 Where every Boston student or new grad must live at least once. Who lives here: BU students/grads, BC student/grads, 20-something artists. Bar and restaurant scene: The bar scene caters to the collegiate and just-out-of-college -- late-night beers instead of cocktails, in other words. But food-wise, you have many options both highbrow and low, from gastropubs to tapas to vegan takeout -- pretty much anywhere you’d be fine wearing jeans to. Public transit situation: The B line, scourge of the MBTA, runs down Comm Ave. 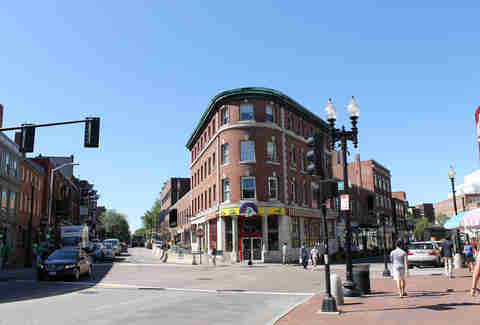 The 66 bus goes to Allston, and the 57 and 65 go to Brighton. Where your relatives think you live when you say you live in Boston. Who lives here: Old money. New money that aspires to become old money. Ladies who lunch. Tom Brady, once. Bar and restaurant scene: The old dining standbys of Newbury have their pricey charms, and newer spots like Select Oyster Bar and Bar Boulud are energizing the area. The bar scene covers a wide range, from post-frat spots on Boylston St to serene wine bars on Newbury, though you don’t go to the Back Bay for the late-night appeal. Public transit situation: Green line to Hynes or Copley, the 39 bus. One of the city’s prettiest enclaves, though hardly a landing pad for the progressive set. Who lives here: Brahmins, baby, and lots of them. Young doctors who work at MGH. John Kerry, on occasion. Bar and restaurant scene: Hill dining rarely gets the same dues given to the area’s antiquing and shopping rep, but it’s awash in great casual spots (The Paramount, Figs, Tip Tap Room) and finer-dining finds like 75 Chestnut and Bin 26 Enoteca (plus, the legendary No. 9 Park up toward the State House). Liberty Hotel is a one-stopper for indoor weekend nightlife, but otherwise Beacon Hill is really best for day and after-work drinking. Public transit situation: Take the Red Line to Charles/MGH, hop off, and start strolling; or get off at Park and cut through the Common on the way to Beacon Street. An under-sung gem of an historic district. Oh, and home to the city’s narrowest house. 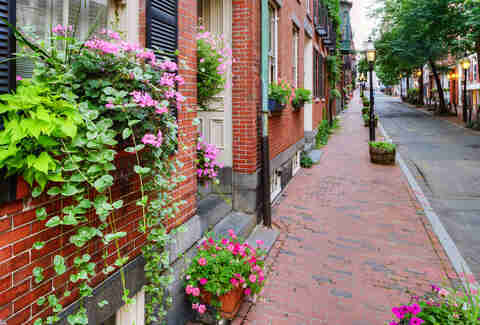 Who lives here: Long-timers who are not bank robbers. Boaters and the boater-adjacent. 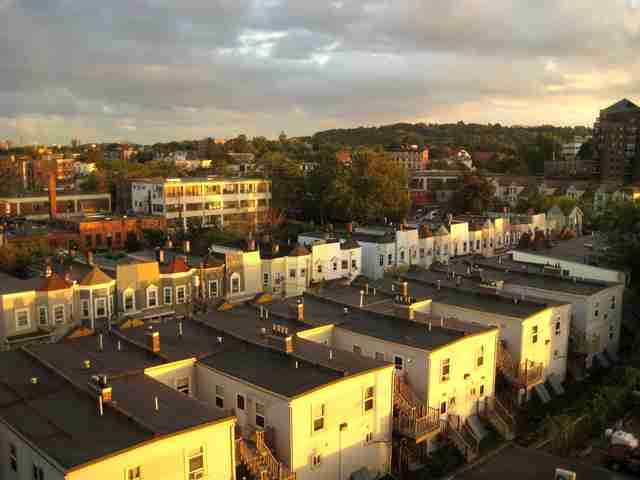 Families wise enough to have snatched up townhouses back in the day. Bar and restaurant scene: It’s a terrific mix of no-name dives, mid-level spots, and a few choice fine dining spots (e.g., whatever has landed in the old Olives space this month). Come summer, waterfront day drinking is the order of the weekend. Public transit situation: You can take the Orange Line to Sullivan Square, or the 93 bus to Bunker Hill St. Our recommendation? The water shuttle. 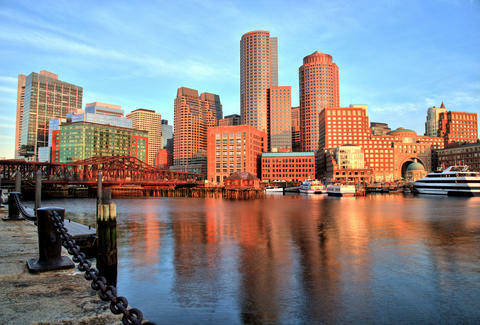 The largest part of Boston and home to the current mayor, this is an area on the rise. Who lives here: Everybody -- it houses the eighth most diverse zip code in the United States. 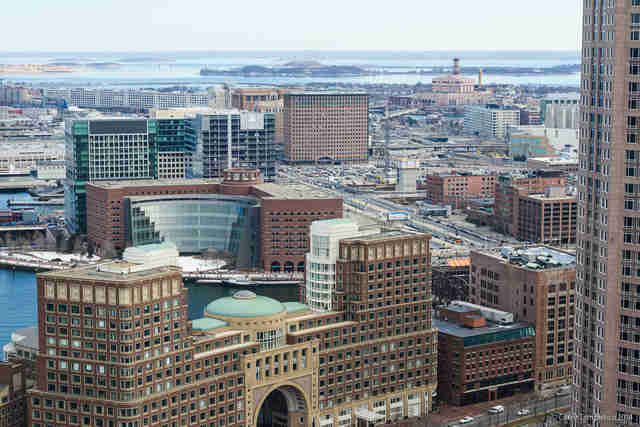 A rising number of hipsters and UMass-Boston students have discovered its charms, and upcoming redevelopment suggests the momentum is in that direction. Bar and restaurant scene: There are Irish pubs aplenty, which translates to a predictable but fun nightlife scene. Dot’s fine-dining scene is also hopping, in no small part thanks to Chris Douglass (Ashmont Grill, Tavolo) and Chris Coombs (DBar). But the neighborhood’s real pleasure is its plethora of ethnic dining options. Where else can you get terrific pho, roti, and jerk within a mile’s radius? Public transit situation: Red Line to JFK/UMass, Savin Hill, Field’s Corner, and Ashmont, or a fleet of buses. An entrenched outer borough that college students have suddenly discovered. 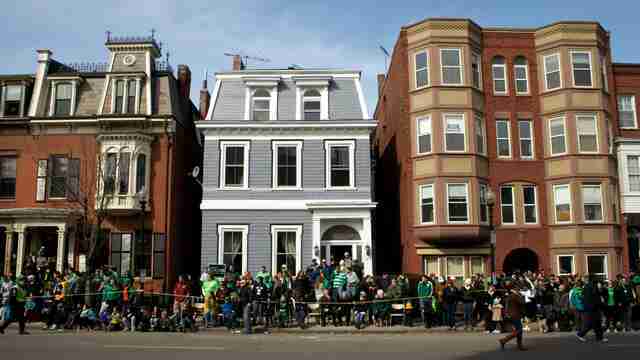 Who lives here: Multi-generational Eastie families. The city’s largest population of foreign-born residents. Bar and restaurant scene: Santarpio’s dishes out the world’s greatest pizza, KO Pies & Catering is an under-sung waterfront gem, and savvy foodies love exploring the various Latin spots. 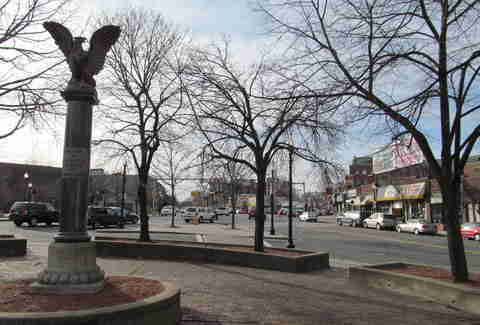 But Eastie is far from a dining or nightlife destination, which is how many residents prefer it. Public transit situation: Blue Line to Maverick, or water taxi. 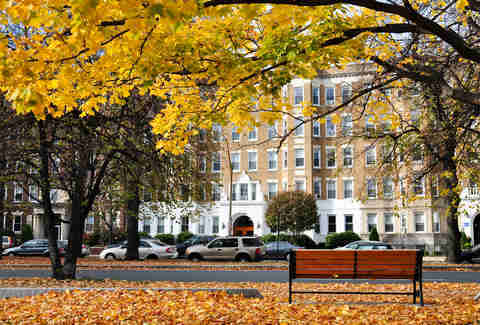 Living in the shadow of Fenway Park has it advantages (and one large, crowded disadvantage). Who lives here: Baseball fans. BU and Emerson grads. Those mysterious folks who can afford the new luxury condos sprouting up. Bar and restaurant scene: Yes, during the baseball season, the crowds can get tiresome, even if you’re a diehard Pedroia. The bar scene is largely sports-centric around the ballpark, but gets far more sophisticated as you move away. Lansdowne Street adds club vibe, plus the House of Blues. Public transit situation: Green Line to Kenmore (any line), or the D Line to Fenway. As (old) San Francisco as Boston gets. Who lives here: Funky twenty-somethings. Funky families with their funky little kids. That woman who carries reusable bags with her everywhere. Bar and restaurant scene: Extensive. Tres Gatos has top tapas, and the revamped Centre Street Cafe is the perfect mid-level neighborhood restaurant. Bars tend towards those of the pub variety, both swanky and divey. Public transit situation: Orange line to Forest Hills or Green Street, a fleet of buses. 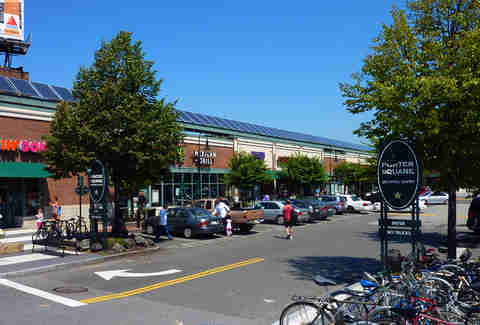 Quote from a resident: “I love JP for all the places to walk my dog, all the diversity of places to grab a bite, and all the places to sit and drink -- though I sorely miss James's Gate!" The city’s Italian enclave we sort of wish had stayed a secret. Who lives here: Italians, of course. But ever since the Expressway came down, it’s become a melting pot of old-timers, Suffolk students, and young professionals. Bar and restaurant scene: Sure, there are plenty of giant-plate Italian joints. But there are a rising number of interesting new little places (Parla, Sfizi), higher-end Italian spots (Lucca), and celebrated outliers (Neptune Oyster). Public transit situation: Green Line or Orange Line, or ferry it. Once an urban jungle, it’s the premier spot for the hip urbane with money, and still the flagship gay mecca. Who lives here: Gays, young couples, folks with cashola, and also people in the nearby housing projects. Bar and restaurant scene: Boomin’ bar and food scene. Get your steak on at Boston Chops, and your poutine fix at Gallows. Public transit situation: Silver Line, which isn’t actually a train but a bus. Does the job, though. Is it still up and coming, or has it peaked? Either way, it’s happening as hell, and it’s on the water. Who lives here: Business professionals, empty nesters who came back to the city, artists who have found a way not to get forced out. Bar and restaurant scene: This has become one of the hottest areas the past few years, paced by several Barbara Lynch flagships. Island Creek offshoot Row 34 stuffs you with fruits de mer; Bastille Kitchen is a subterranean lair of fine cocktailing; and, of course, there’s the whole big-box dining scene, which is a matter of personal taste. Public transit situation: The Silver Line never gets the credit it deserves. Who lives here: Math geniuses, PR girls, some of the thickest and most entrenched Boston accents in town, people with a lot of money, suddenly. Bar and restaurant scene: Thriving. Southie still has its share of pubs, but with the money, so has come nicer drinking establishments (even as local dives drop like flies). Public transit situation: Red Line to Andrew or Broadway. 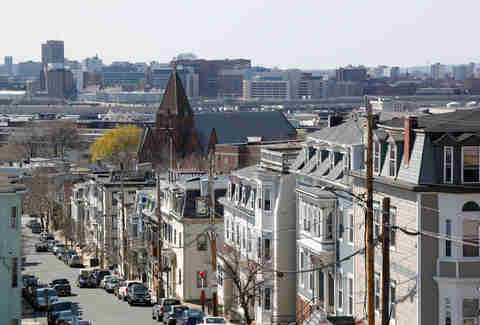 Quote from a resident: "I've lived in Southie for 13 years, and cannot imagine moving to another neighborhood. 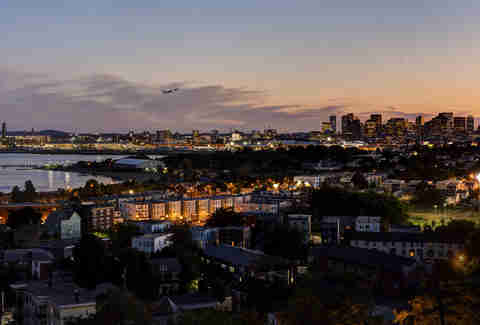 With miles of beachfront, destination dining, and a construction boom, Southie has transformed into a cultural hub while maintaining elements of its historic identity." It’s much more than the H-bomb, we swear. Who lives here: Harvard students, former Harvard students, Harvard employees, Harvard professors, 30-something professionals, and many an entrenched family. Bar and restaurant scene: Burgeoning. Alden & Harlow got people excited about the Square again, as did The Sinclair, Beat Brasserie, and Park. But sometimes you just want an old favorite like Grendel’s Den or Daedalus. Public transit situation: Red line to Harvard, or catch a bus from pretty much anywhere. It’s like the rebellious youngest brother of the Square family. Who lives here: Cantabridgians who like a slightly slower pace. Portuguese families. Bar and restaurant scene: There’s a lot of funk packed into that small stretch of Cambridge Street, from standbys like East Coast Grill and Bukowski’s to new(er) spots like BISq, Bondir, Puritan & Company, and Loyal Nine. Hit the S&S for a solid brunch and Ryles for some jazz. Public transit situation: You can get off the Red Line at Central and make the 15-20 minute trek to Cambridge Street (cardio! ), or you can hit up one of several bus lines that gets you closer. 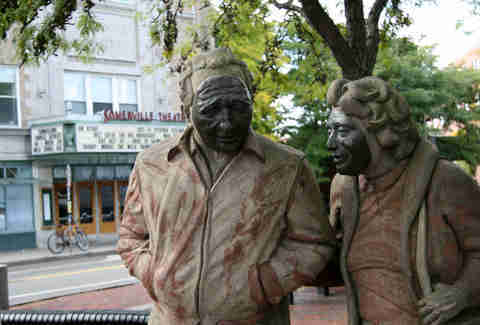 One of the rougher and tumbler parts of Cambridge -- and we mean that in a good way. Who lives here: There’s a significant homeless and indigent population, so the rest of the residents are people who don’t mind that, meaning young and chill. Bar and restaurant scene: The Middle East Nightclub is the indie rock hotspot in town, and the Middle Eastern food isn’t bad either. A rainbow of ethnic cuisines abound, but Southeast Asian influences prevail with half a dozen or more Indian restaurants within a mile of each other. Green Street and Brick & Mortar provide the cocktails, and spots like Central Kitchen and Viale fill the date-night slot. Public transit situation: Red Line to Central Square -- but make sure you’re going in the right direction, or risk paying again when you switch sides. It’s more than just the square between Davis and Harvard. Who lives here: Lesley and Harvard grad students, multi-generational Cantabridgian families. Bar and restaurant scene: Under sung. There are standards like Christopher’s for dinner and Toad for drinks and music (with mainstay Cambridge Common a little farther afield), but you also have Sugar and Spice for Thai, Elephant Walk for Cambodian, and Giulia for the best Italian food outside of the North End. And then, of course, there’s Porter Exchange, the epic Asian food court. Public transit situation: Red Line to Porter Square. Done. The glam part of Somerville, if such a thing exists. Who lives here: Tufts students and professors, young professionals, and entrenched locals who have managed to hang onto their rentals. Bar and restaurant scene: Ever-expanding and improving. The Painted Burro has outstanding Mexican, Posto is great pizza, and Redbones will satisfy your barbecue cravings. The Burren is an authentic Irish pub and Five Horses has an extensive list of brews. Public transit situation: You’re taking the Red Line almost to the end of the line, then getting off at Davis (duh). 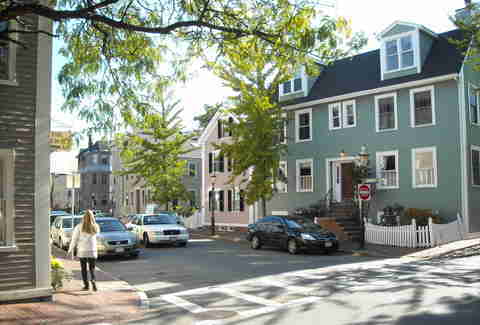 Quote from a resident: “Davis is right on the Cambridge-Somerville border, and it really gives me the best of both -- a lot of new funkiness, a lot of great older businesses, and beautiful houses. I keep finding hidden gems, like a great antique store or vegan donuts. Being near the end of the Red Line means I can easily get down to Harvard Square and Boston, without being down there in those busier places. 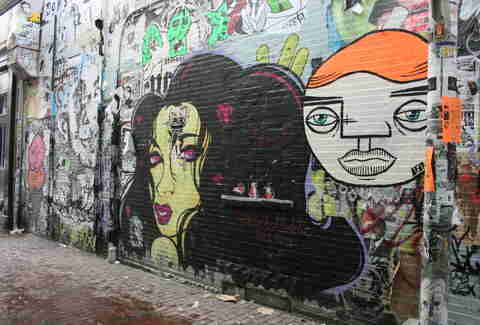 It's the perfect combination of weird and small neighborhood for me." Where the New York Times goes to gauge Greater Boston’s hipness quotient. Who lives here: The tattooed and mustachioed. The city’s most serious eaters and drinkers. Bar and restaurant scene: Enviable. You have one of the city’s best watering holes in BackBar, a venerated restaurant in Journeyman, terrific social hangouts in the Independent and Brass Union, and a plethora of cheaper ethnic eats. Public transit situation: Therein lies the rub. 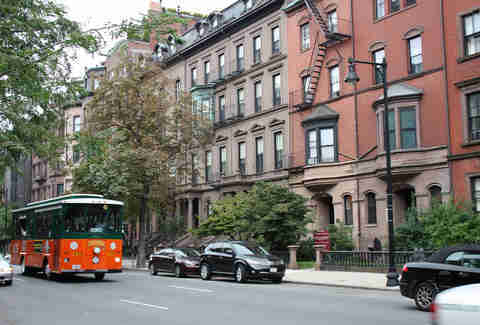 Until the mythical Green Line extension materializes, you’re bussing it -- most likely taking the 86 from Harvard Square. 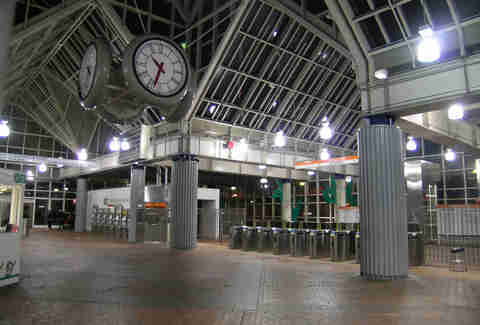 You can also take the Red Line to Davis Square, then the 87 to Union. Meaghan Agnew was born in the Back Bay and currently calls Dot her home. Her pet peeve is suburbanites who insist they live in Boston. Follow her on Twitter at @meaghandeth.